For many clients, pets are members of the family. These clients often say that if something happens to them, they are more concerned with what will happen to their pets than to their children or spouse. This issue of The Wealth Counselor examines the issues surrounding caring for pets after the disability or death of the pet's owner. Given many clients' feelings towards their pets, and the costs of care and longevity of some types of pets, this is an area where the planning team can differentiate itself and provide real client value while also generating additional revenue for multiple team members. What Will Happen to the Pets When the Owner Becomes Disabled or Passes Away? Most pet owners do not want their pets killed if something should happen to them. However, without proper planning, the death of the pet is almost certain in some areas. For example, in some Nevada counties, if the client does not provide for a pet by way of a trust, when the client dies Animal Control must take the pet to the local kill shelter if there is not a family member present who is willing to care for the pet. Some kill shelters euthanize animals 72 hours after they arrive at the facility, making it virtually impossible for anyone to adopt the pet. Clients can avoid this unintended and unfortunate result by creating a trust that names a caregiver for their pets. Planning Tip: Research how your state or county laws affect pets after the owner dies or cannot care for the pet. Help your clients to provide caregiver information to their local Animal Control so that, when the time comes, Animal Control can contact the caregiver(s) to retrieve the pet. Planning Tip: Provide your clients with a Pet Alert Card including the owner's name, number of pets, and multiple caregivers' names and phone numbers. Laminate the card and ask each client to place it in their wallet behind their driver's license. If something happens to the client, someone searching for their identity will see the Pet Alert Card and know there are pets that need care. The law treats pets as property. Because property cannot own other property, money and other property cannot be left or transferred outright to a pet. One can transfer or leave assets to a caretaker with the request that the caretaker care for his or her pets. However, because the caretaker receives the gift outright, no one is responsible for ascertaining whether a pet is receiving the care requested by the pet owner. Once the caretaker receives the gift and the pet's owner is gone or incompetent, there is nothing to stop the caretaker from having the pet euthanized, throwing it out on the street, taking it to a local kill shelter, or using the assets in ways unrelated to the care of the pet. In addition, once in the caregiver's hands, the assets are exposed to the caregiver's creditors and they may be transferred to a former spouse on the caregiver's divorce. As of August 1, 2007, thirty-eight states and the District of Columbia have enacted statues pertaining to pet trusts, and others have legislation pending. (SeeBeyer Animal_Statutes for a listing of all states' pet statutes.) These statutes allow virtually any third party designated by the terms of the trust to use the trust funds for the benefit of pets. Some state statutes specifically limit the terms of a pet trust. For example, some states limit the amount of money an individual can leave in trust for their pet. In those states that have adopted the Uniform Trust Code's pet trust provisions, the amount of money an individual can leave in trust for a pet cannot exceed the amount required to care for the pet over the term of the trust. The trust must distribute any excess funds to the person(s) or charity(ies) who would have taken had the pet trust terminated. In making this determination, the level of pet care the owner provided determines the endowment amount required to provide care for the pet. Factors include: the cost of daily care (food, treats, and daycare), veterinary care (yearly teeth cleaning, shots, nail trimming, and emergency care), grooming, boarding, travel expenses, and pet insurance. Additional factors may apply in particular cases. For example, horses are expensive to maintain and require exercise, training, and a large tract of land; some birds and reptiles have very long life expectancies; and care of some pets will require construction of a special habitat on the caregiver's property. Even if your state does not have a specific pet trust statute, a pet owner can name a human caregiver as the beneficiary of a trust, require that the distributions to the beneficiary are dependent on the beneficiary caring appropriately for a pet, and require the trustee to ensure that the beneficiary is properly caring for the pet using trust assets. This type of trust may be used without regard to whether the state has a specific pet trust statute. Planning Tip: Both statutory pet trusts and traditional trusts allow the pet owner to provide detailed requirements as to how the caregiver must care for the pets upon the pet owner's disability or death. Planning Tip: Will planning is inadequate for pets because it does not address disability and because of the time lapse between death and the will being admitted to probate. Many pet owners do not have sufficient funds to properly care for their pets after their disability or death. Life insurance is one way to increase funds available to care for pets after the pet owner's death. Planning Tip: Life insurance that names a pet trust or traditional trust as a beneficiary is an ideal funding mechanism. If the client is concerned that funding of a pet or traditional trust will reduce the children's inheritance, the client can increase the amount of life insurance and name as beneficiaries both (1) the pet or traditional trust and (2) the children (or a trust for the children's benefit). Planning Tip: Financial advisors, when determining wealth accumulation needs, should take into consideration the care needs of a beloved pet. Use of pet or traditional trusts to provide pet care also gives the financial advisor the opportunity to continue to manage the trust assets after the client's death or disability. In addition to stating that it is the client's intent to create a trust for the benefit of (or to provide funds adequate for the care of) his or her pet, the trust should specifically name a succession of caregivers/beneficiaries and a separate trustee to ensure that the serving caregiver/beneficiary is properly caring for the pet. The trust should also allow the trustee to reimburse the caregiver/beneficiary for all pet expenses with proper documentation, have access necessary to determine whether the pet is receiving the intended care, and withhold distributions to the caretaker/beneficiary if the pet is not receiving the intended care. 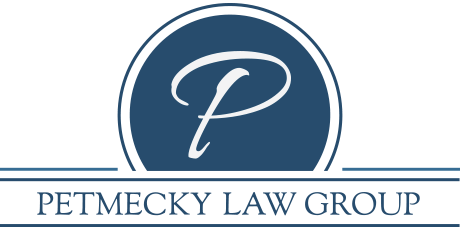 If your state statute does not limit the trust terms, the client can include anything that is not illegal or against public policy. Creating a pet panel to offer guidance to the trustee and caregiver/beneficiary, and to remove and replace the trustee and caregiver/beneficiary, if necessary. Consider including a veterinarian to make the final decision regarding euthanization for medical reasons, to ensure that the pet is not euthanized prematurely by the caregiver/beneficiary. Paying the caregiver/beneficiary a monthly fee for caring for the pet or allowing the caregiver/beneficiary to live in the client's home, rent free. Awarding a bonus to the caregiver/beneficiary at the end of the pet's life as a "thank you" for taking care of the pet. If the client chooses not to create a pet panel to determine who will be a successor caregiver/beneficiary, the trust should name multiple successor caregivers/beneficiaries (three or more) in case a caregiver/beneficiary is unwilling or unable to serve. As a final back-up, the client should consider requiring the trustee to give the pet to a no-kill animal sanctuary if there are no caregivers/beneficiaries available. This can literally save the pet's life. To prevent the caregiver/beneficiary from replacing a pet that dies to continue receiving trust benefits, the pet owner should specify how the trustee can identify the pet. The client should consider micro-chipping the pet or having DNA samples preserved for verification. You may encounter pet owners who want their healthy pets euthanized when they become incapacitated or die, thinking "no one can care for my pets as well as I do." However, many states' courts have invalidated such euthanasia provisions on the basis that destruction of estate property is against public policy. In these states, encourage clients to consider using no-kill organizations that have the pet's best interest in mind and will find the next best home for their pets. Again, this is a state-specific question and thus it is critical that advisors know their state's laws in this area. Many clients are oblivious to the issues surrounding the care of their pets after their disability or death. By raising this issue with clients, the planning team can differentiate itself and provide value in an area that is significant to many clients, while also creating additional revenue for multiple team members.